Google has unveiled Chrome 54 for Windows, Mac, and Linux and already looking ahead at v56 expected to be released in January 2017. With the focus mainly on developers, this release is coming mostly with under-the-hood improvements and bug fixes. But one of the noteworthy changes in version 54 of Chrome, HTML5 will be automatically used when a Flash embed for YouTube is detected. Chrome is arguably more than a browser: With over 1 billion users, it’s a major platform that web developers have to consider. In fact, with Chrome’s regular additions and changes, developers have to keep up to ensure they are taking advantage of everything available. Version 55 of Chrome is expected to come with improvements in speed, efficiency, and more security, re-affirming Chrome as one of the best browsers till date. You can update to the latest version now using the browser’s built-in silent updater, or download it directly from here. As of September 2016, Google Chrome had a 54.41% desktop browser market share, according to Net Applications. This proves that Google Chrome is the most preferred desktop browser over Microsoft Internet Explorer, Microsoft Edge, Mozilla Firefox, Apple Safari and Opera. However, Google Chrome’s weakness is that it consumes a substantial amount of memory. And as you open more tabs and install more extensions, the memory problem compounds. As noted, version 54 comes with significant improvements in major areas and we are going to share some with you. Last year, The Verge performed a test to determine how long the battery would last on a MacBook Pro while using Apple Safari against Google Chrome. In the test, The Verge visited a series of websites until the battery stopped working. While using Apple Safari, the battery lasted 13 hours and 18 minutes. And while using Google Chrome, the battery lasted 9 hours and 45 minutes. Fortunately, Google is preparing to fix this problem. The Google Chrome update may not be that noticeable if your desktop computer already has a lot of memory like 8GB or 16GB of RAM. However, people with computers that have 4GB of RAM will likely notice a difference in speed and battery life. Google Chrome on mobile devices is also expected to become faster. Chrome 54 rewrites YouTube Flash players to use the YouTube HTML5 embed style. YouTube ditched Flash for HTML5 by default in January 2015, but the old embeds still exist all over the web. Google says the change improves both performance and security for its desktop browser. Lastly, the BroadcastChannel API has been implemented to allow one-to-many messaging between windows, tabs, iframes, web workers, and service workers. In other words, this API allows scripts to establish named channels to send messages between browsing contexts of the same origin. This is mainly aimed at sites that leverage multiple browser windows or tabs that let users perform more complex tasks. “This is done to reduce the overall usage of Flash in Chrome,” says the changelog. With an end goal of allowing safe web browsing, Chrome has started to indicate that you may be unsafe through the use of an icon in the address bar. The notification itself is a grayed out encircled exclamation mark. It’s not too conspicuous so some may actually miss it if they do not pay attention to detail. The idea I’m sure, is not to outright frighten you off there and then. In the past, HTTP websites were not outright “Non – Secure” websites. Google chrome just accepted that there were HTTP websites and more secure HTTPS websites. Chrome has decided that by January 2017, it will warn you if a website is non-secure. The notification is of course only if the site collects passwords or credit card information. This is obviously part of their plan to ensure that most websites move to Secure and provide safer browsing for the everyday person. When you load a non-secure website, hackers can view or modify the information you supply on the site. That sounds really scary, right? Especially because there is no way of knowing it is happening. The good news for you and me is that there has been a huge shift to Secure websites this year. I guess having Google Chrome put it out there, actually helped. As it stands more than half of desktop website page loads are nowSecure. Chrome Reports that even pages in the top 100 becoming a part of the movement. The internet is much safer than it was in January, which is such a good thing although it’s not quantifiable. What you could lose is huge, it could be your identity or your money. Why Not the Red Triangle Now? According to the Chrome Team, this has been done in stages. Users start ignoring warnings and notifications that come too often and the want to avoid that. The aim is to change from the neutral notification to the Red Triangle used for broken HTTPS now. It won’t be a good thing to have a website that is on the non–secure side of the border. This will be especially true if many sites have moved over and your site just looks like the black sheep. So far, Google has spent $28,633.70 in bug bounties this time around — and that number is lowballed, given all the rewards that have yet to be decided. As always, the security fixes alone should be enough incentive for you to upgrade. Meanwhile, Chrome 54 for Android and iOS are also on their way, but Google has not shared exactly when they will ship. Chrome 55 will arrive in late November. 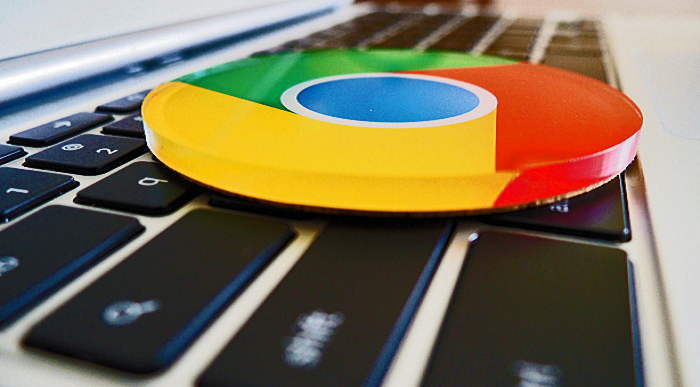 What are your thoughts about Google significantly improving the Google Chrome browser? Do you plan to upgrade right away? Please leave a comment!